PLEASE NOTE: This month’s Spoons event is starting a bit earlier at 11:15! 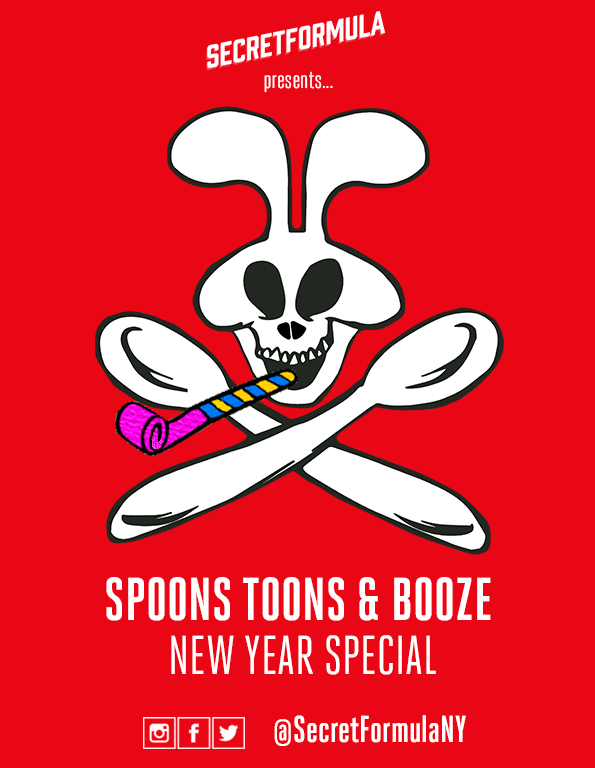 Your Favorite Saturday Morning Cartoons + Booze & Free Cereal + a Special Cartoon Menu of First Episodes and Origin Stories to Start the New Year! A new year means a fresh start, a reinvention, a new beginning and in some cases…a genesis. To mark the beginning of 2019 we’re looking back, all the way to the beginning of our favorite Saturday morning (and weekday afternoon) cartoon series and characters. Hosted by SecretFormula’s cartoon and cereal experts Michael Austin and Nell Casey.